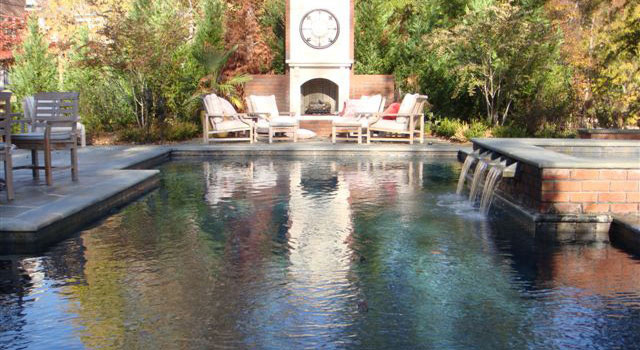 This inground pool and spa features an outdoor fireplace for year-round entertaining. 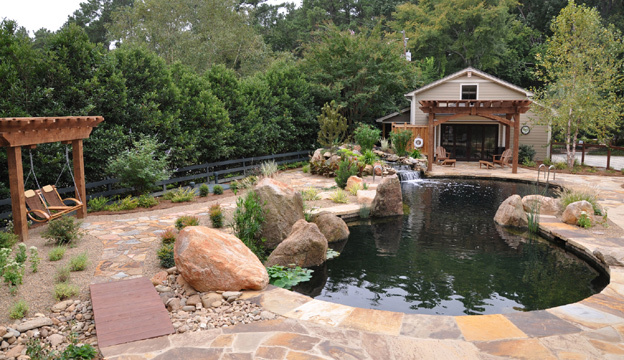 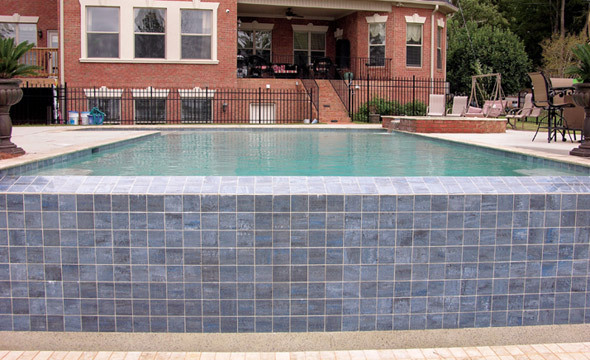 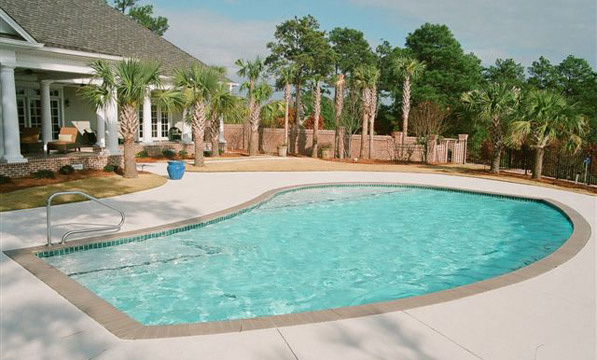 It’s an example of an in ground pool and spa built by The Clearwater Company in Columbia SC. 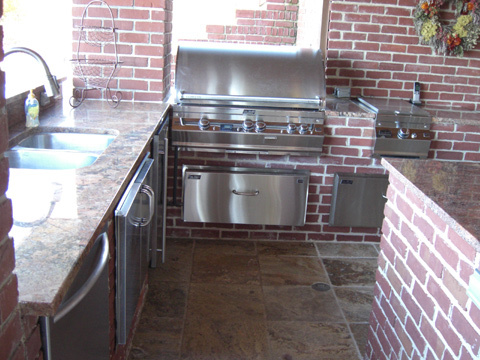 Reference P-15.